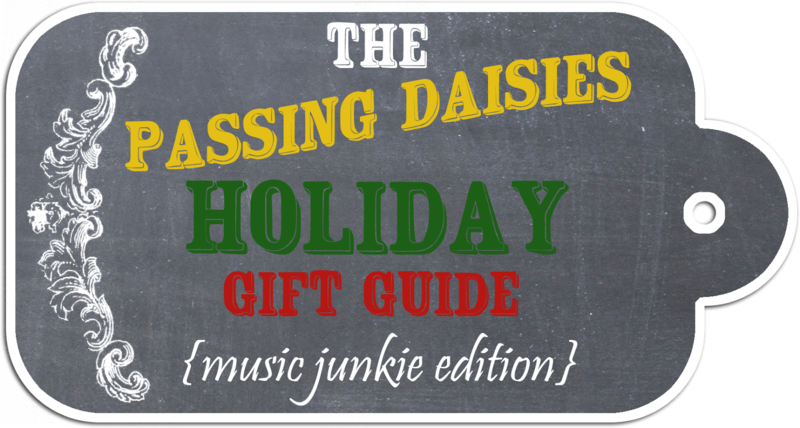 Welcome to the next installation of the Passing Daisies 2013 Holiday Gift Guide! 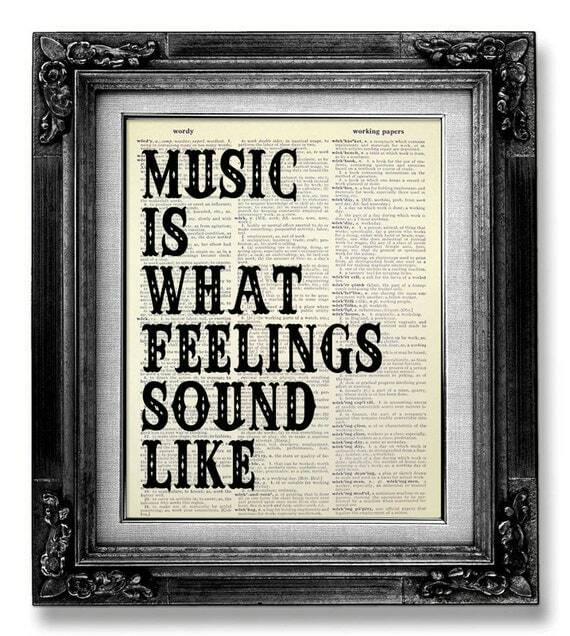 So, music lovers. These are the people who know about pretty much every band and up-an-coming artist there is. You've probably never heard of them, but your friend definitely has and thinks they make great music. Your friend probably plays an instrument (or two), but if they don't, they want to learn. Keep reading for some unique gift ideas for those music junkies you know and love! Spotify is way, WAY better than Pandora or iTunes Radio, and your friend probably knows that. A subscription to Spotify premium is $9.99 a month, so why not buy your friend a few months worth of advertisement free music? They can play their favorite songs on all their devices (iPhone, iPad, computer, etc. ), and they can listen to entire albums for free. This band is definitely NOT well known, but their music super catchy. It sounds retro and has a vintage feel, much like the artists themselves, Trent Dubbs and Amy Stroup. 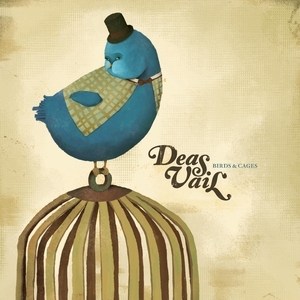 Another indie rock band that's not too well known, Deas Vail has a GREAT sound. They have a great mix of acoustic and hard rock. Very catchy. While you're at it, check out the lead singer's solo stuff, Wesley Blaylock. "Falling Into You" is one of my all time favorite songs. All music lovers want to keep up with the local music scene, and probably enjoy attending local music concerts where they can discover new artists. Look up some bands from your area and buy your friend some local tunes. For Cincinnati, some local bands include Walk the Moon, Foxy Shazam, Archer's Paradox, Mia Carruthers & The Retros, and The Harlequins. If your friend doesn't like getting rid of tickets from concerts, why not buy them a book where they can store them all? A little bit hipster, a little bit music junkie. The best of both worlds! 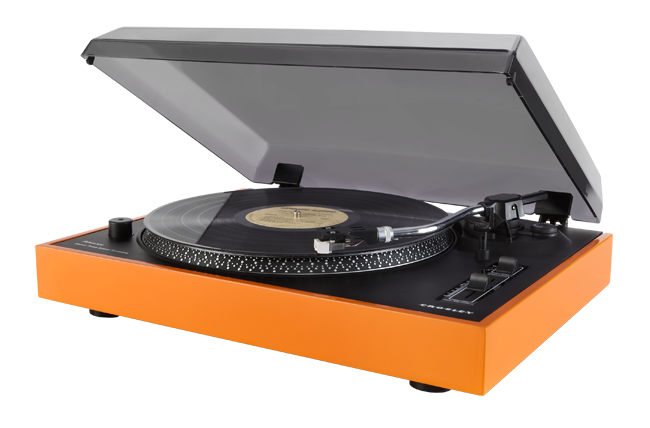 Play those old fashioned records in a stylish new turntable! Any music guru will tell you how much better records sound than CDs. Etsy has a bunch of cute, homemade lyric art, or you can shop local stores to support your local artists! Why not get an awesome, hand stamped guitar pick? 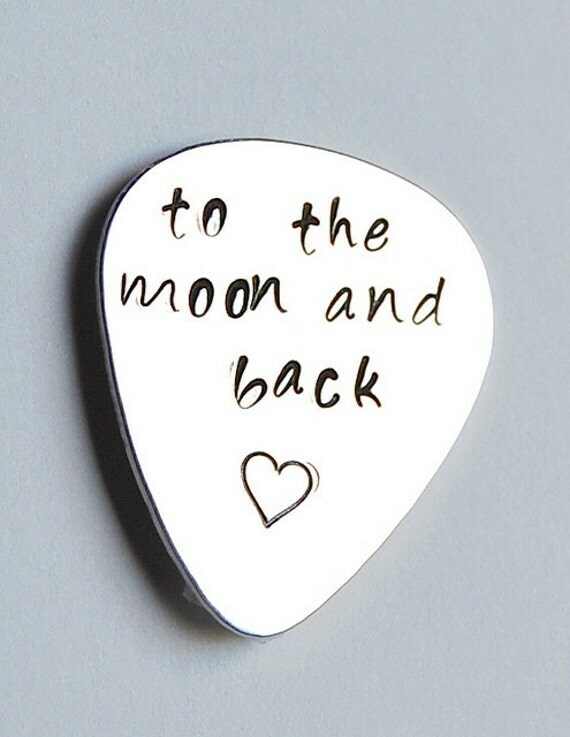 You can search Etsy and find a pick that says virtually everything, or special order a pick to say whatever you want. 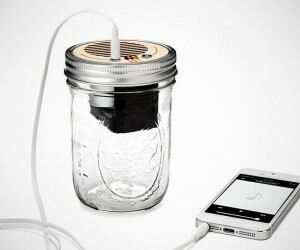 I hope this gift guide has sparked some ideas for the music fanatics in your life! If not, hopefully I introduced you to some great new bands. Check out Deas Vail! Really, please check them out. I love that band! It is very simple to like music still choosing between the simplest music and badly composed music is that the real art of kind music. Further, learning music is a good more heavy-duty job. It doesn't return clearly to each person. You’ll be able to be a good user and as well possess fine data about many styles of music. Still, once it entail real singing or the stage arts with the other tool, you would maybe not be ready to do well and it may be ear-jarring to viewers. If the easy singing of music is thus stylish, you may see what mass ought to come in the easy work of a chosen style of music. Nice blog thank you Picture it well to the viewers at massive is even tougher. Many genre of music area unit out there at once away that charm to the younger making. Even the in style of older creation has return to love them thanks to their novel approach to music. Stylish rock is as well termed as a choice of rock that is preferred on business radios. Hip hop may be a terribly broad mass of terribly fully special creative forms. It starts from the road music cultures, mostly from South borough in big apple throughout the Nineteen Seventies. The primary 2 of the four major parts of hip hop music area unit rap and turntables. Each of them area unit aural. Last time I visit essay service Company. In this company I got so many new information. The opposite 2 parts of hip hop music area unit breaking that is physical and graffiti art that is visual. Thank you..Hip Hop follows unusual music genres like jazz, blues, and rock & roll. 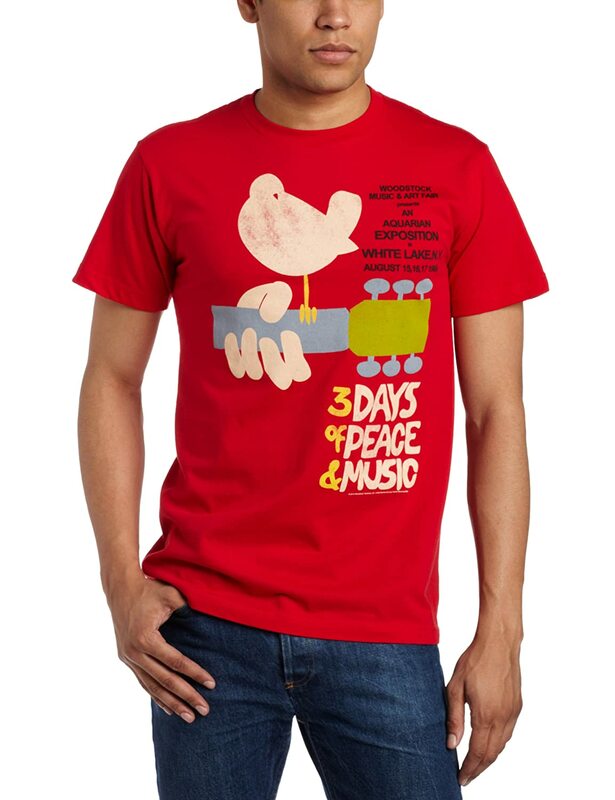 However, it also gets regular idea from the lot of fashionable music designs like blues, rhythms, funk, soul music, etc. The language of hip hop has its own unique slang, custom-made from much slang from many regions within the west. Thank you so much..